What is 3DCAD Software Fusion 360? Fusion 360 is a piece of 3DCAD software with high-level cloud-based functions, provided by Autodesk. 3DCAD software usually costs several hundred thousand to several million yen, but Fusion 360 may be used for a few thousand yen per month. 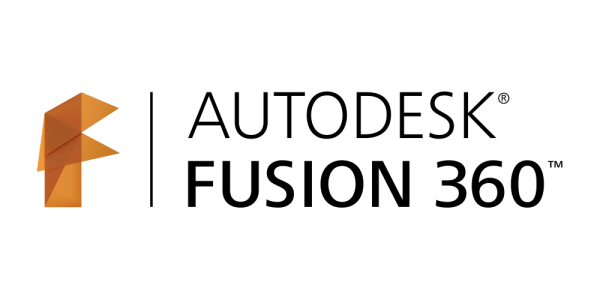 However, it will continue to available for free use for non-profit/hobby-related purposes. For this reason, its use is tremendously popular among 3D modelers and creators. ── Please tell us about the details of how this program was implemented. 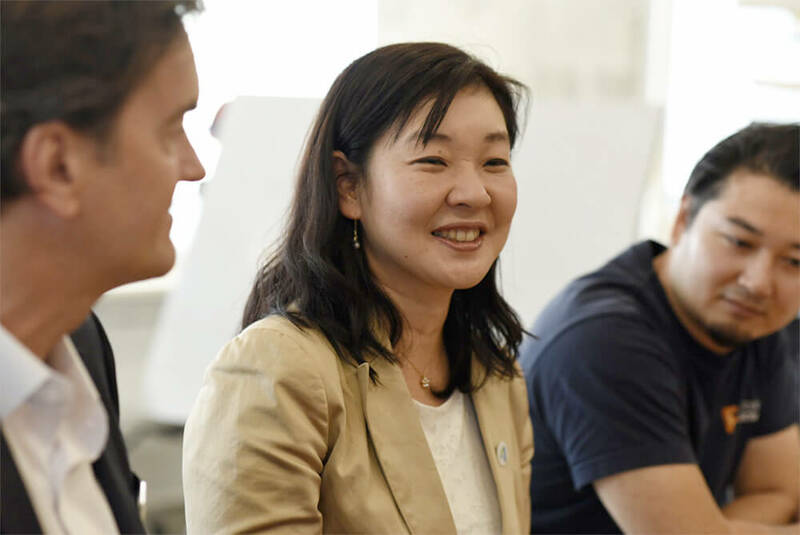 Tomoyo Watanabe (Autodesk)　Starting with Fusion 360, we are offering our company’s major products to students free of charge, but opportunities to learn about them at schools are still limited, so we want to make it more widely available to students who have limited opportunities to experience it. Even though students can use it for free, if they have no opportunities to get started with it, they may not understand how to use it, so we want to help them meet colleagues through these tools, cooperatively contribute to ideas for propagating them, and discover their motivation as students. So we decide to provide students assistance with FabCafe by having environments such as cafes and workspaces where people can gather and have fun. 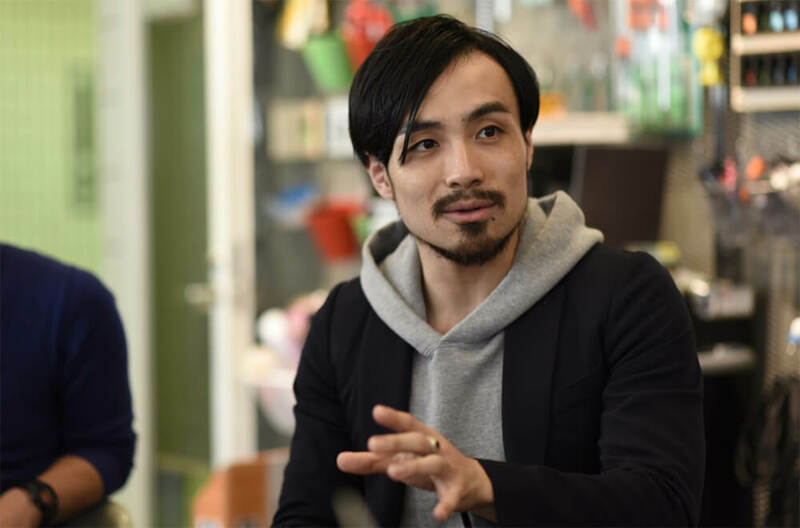 Toshimasa Kawai (FabCafe)　The strength of FabCafe is that it is an open place, and there are communities of people who do activities here. We call those people “microcommunities,” and we create a lot of communities based on interests such as fashion and technology. We believe that the ability to create and promote these communities is one of FabCafe’s assets. In regard to our networks with students, in May of this year, at Slush Asia,the world’s largest startup event, we want to broaden the connections between FabCafe and student teams by holding a 300-person hackathon.We thought “let’s be sure to time our talks with the students this time the same way as Fujimura did last time.” We made progress just like that. Tetsuya Ohara (FabCafe MTRL)　We wanted to freely make use of the strengths of the space and the community that were provided this time and bring in as many of the students’ ideas and expressions as possible. By very attentively teaching them with workshops and project planning, we knew we could make our philosophy clear and change their situation. Watanabe　We were surprised by our latest plan, “Design a Postcard!”It was a bold idea to make the output from the 3D tools two-dimensional (laughter). We made use of the rendering function, which is a strength of Fusion 360, creating a plan to attract people with an interest in graphics, and when we saw the reactions of the participants we felt it was a major success. After that, student mentoring and scheduling were led primarily by Ohara’s team. This is based on hindsight, but holding workshops at each college one after the other created competition, and I think this lit a fire in the students’ hearts. ──What kind of results and feelings did you get from this workshop? 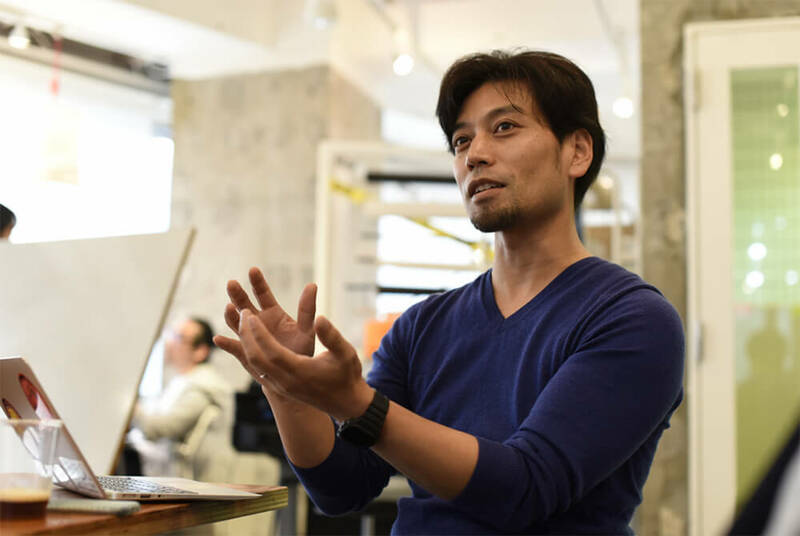 Yuji Fujimura (Autodesk)　I act as an evangelist to propagate Fusion 360. Even looking at this industry, I have heard of little precedent for expanding our community through student leadership at workshops, so this is an interesting experiment. I feel that it has major significance for the future when students at other universities do things similar to the activities of an ambassador, and I hope it will continue to spread. Kawai　Actually, the CAD tools that teachers use are linked to the curriculum, with the teachers developing a partner relationship with our company, so they don’t change very much. Based on the cases in which the students provide trial guidance and recommendations, we expect the teachers to have opportunities to experience it as well. 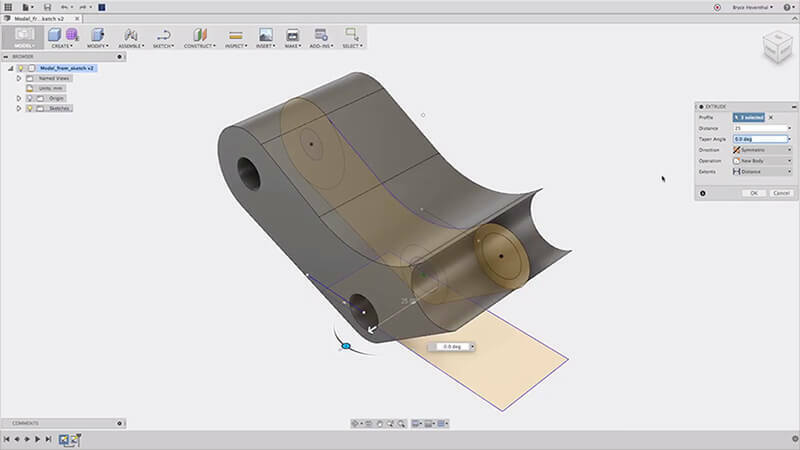 Fujimura　Fusion 360 was released four years ago, but we only began offering a Japanese-language version of it one year ago. It has been difficult for teachers to reach the point of “remember and teach.” For this reason, we felt that it would be good to create a student leadership movement, so that using the tools would become easier in the future. Ohara　The way individual idiosyncrasies were made use of at each university was very interesting. For the art department at Nihon University, it was design; for Kogakuin, it was robots. The result was that they each enjoyed themselves based on their own strengths. From workshops taking advantage of their place in the world, new heroes are born! Watanabe　Even if they did not finishing learning how to use the simple Fusion 360, this was all the students’ first experience with teaching independently for themselves, wasn’t it? The students learned from hard experience how to express themselves and how to teach effectively. I think that this program will help expand their vision and outlook for the future. Kawai　In regard to expansion, FabCafe has locations in Spain, France, Thailand, Taiwan, Singapore, and Japan (Tokyo, Hida), as well as some which cross national borders, so it would be good for us to take up challenges like this on a global scale. Each location already has connections with several universities, so it could be interesting to compete on a global scale. Ohara　Since digital fabrication first came into fashion five years ago, creators and their partners have performed various collaborations and built their own community. 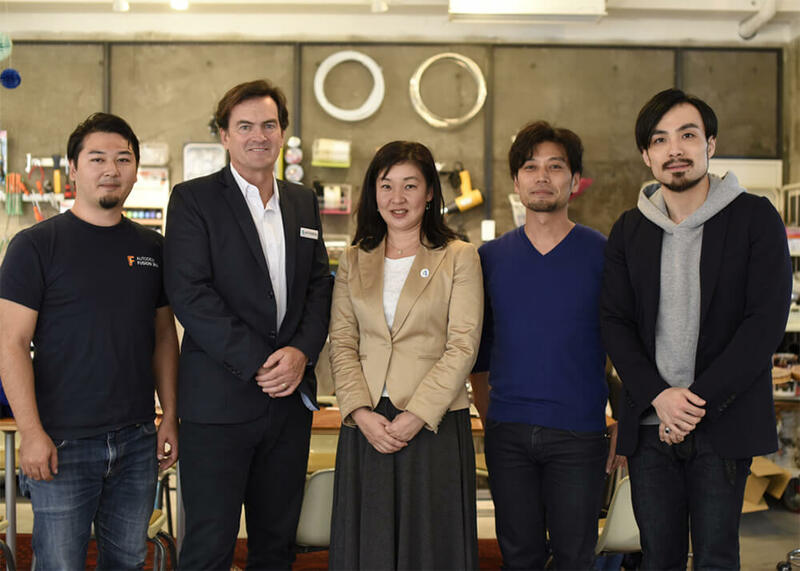 This story is not only true in Japan; in every country where FabCafe operates, various collaborations happen each day. Because of this, we feel that we can provide optimal facilitation for these people, even on a global scale, by skillfully doing what we are doing. Brenton Wyatt (Autodesk)　We want students to become more familiar with CAD and CAM and master using it, and we want to build the bridge to the next generation. 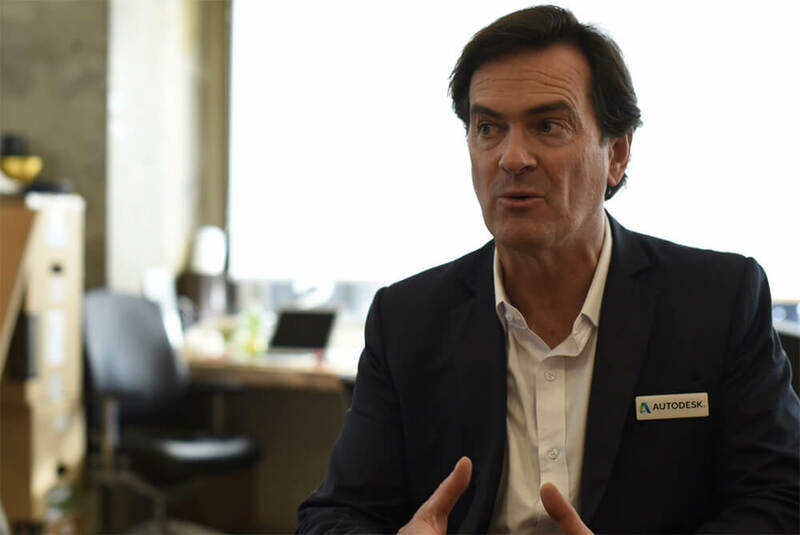 Autodesk will proactively take part in cultivating a new generation of talented people working in construction and manufacturing worldwide, and we aim to turn them out in large numbers. 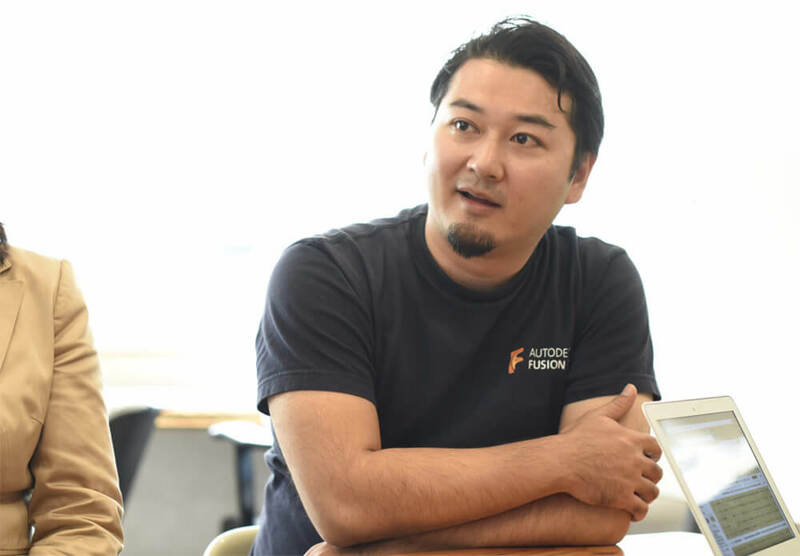 Fujimura　Recently, I met a 15-year-old user of Fusion 360 who could handle modeling, design, machining, analysis, and basic programming all on their own. I hope that we see more of these “New-Fab Heroes,” and that they render the adults speechless. For a sharp knife, you need a thin piece of metal, so people like us, who provide tools, must introduce tools that people will want to use via workshops such as FabCafe, and spread them across the world. We would like to increase our number of fans and turn the entire manufacturing industry on its head. Kawai　We have already begun creating the second wave of student ambassadors alongside Autodesk,but from this point on we’d like to build a community which can continuously nurture new ambassadors. To that end, we negotiate with makers and creators who can supply equipment and materials. FabCafe’s mission is to provide further opportunities to students who are involved in crafting and manufacturing. We are very thankful today. 1. Autodesk Fusion 360 Student Ambassador Project Kickoff!